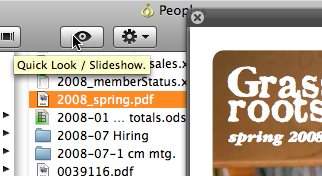 QuickLook is a spiffy new feature of OS X 10.5 “Leopard”. In the following screencast i’ll show you how you can use QuickLook to work more quickly and easily on documents and email. Click here to view the screencast.